"For years, we have worked designing & building some of the largest, most complex commercial/development projects in the St. Louis area. I am pleased that we are now bringing this level of expertise to the residential market. 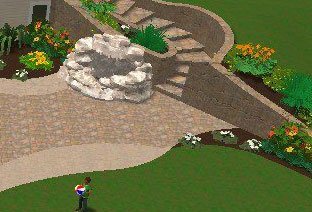 We can create beautiful retaining walls, walkways, patios, and outdoor living environments at considerable savings in time and money. Contact us today so we can discuss these exciting possibilities." We are the only contractor with a licensed and insured engineer on staff to complete all designs in house. This also allows us to provide engineered inspections on every job for quality control at no additional cost to the customer. We are also proud to offer a 10 year warranty on all wall and paver installation projects. Let us show you the value of a quality company. 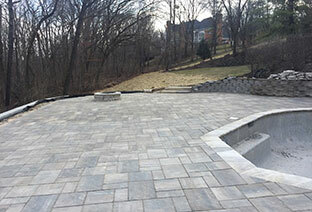 For years we have been serving the finest builders and contractors in the St. Louis Area. We are now bringing this level of expertise and service to the residential market. 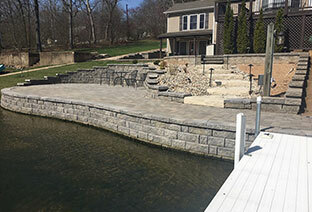 Our employees are certified by the NCMA for retaining wall construction and by ICPI for paver installation.